Since his death in 2011, Steve Jobs has been the focus of a biopic starring Ashton Kutcher, a documentary directed by Alex Gibney and two prominent biographies. The first of these biographies, written by Walter Isaacson and authorised by Jobs himself, is the inspiration for the film for Danny Boyle’s new film STEVE JOBS. Directed by Boyle and adapted for screen by Aaron Sorkin, STEVE JOBS takes a look at the trials and triumphs of a modern day genius, the late co-founder and CEO of Apple, Steve Jobs. The film paints a revealing portrait of the man who, in the course of his career successes, betrayed his friends, alienated his allies and mistreated his loved ones. Set behind-the-scenes at three different product launches over a 15 year span, we first meet Jobs in 1984 as he prepares to show the world the first Macintosh personal computer. Five years later he is in San Francisco to introduce NeXT cube. Finally, in 1998 Jobs is back at Apple and ready to unveil iMac. Fast-paced, riveting and savagely compelling, STEVE JOBS is a rich, potent and impressionistic portrayal of the tech innovator. Unlike other biopics which attempt to tell the whole story of the subject’s life, screenwriter Sorkin cleverly uses a simple three-act structure to focus on three pivotal moments in Jobs’ history. Most of the action unfolds backstage in the anxious minutes leading up the pivotal product launch. Each chapter is built around a series of encounters with the same handful of people: Apple CEO John Sculley (Jeff Daniels), Apple co-founder Steve Wozniak (Seth Rogen), marketing guru Joanna Hoffman (Kate Winslet) and genius computer scientist Andy Herzfeld (Michael Stuhlbarg). Unlike Alex Gibney’s STEVE JOBS: THE MAN INSIDE THE MACHINE which concentrates on Jobs’ work ethics, STEVE JOBS focuses on the human side of Jobs, particularly the strained relationship between his friends and work colleagues, and Lisa, the child he refused to acknowledge as his own daughter. As expected, STEVE JOBS flows quickly, furiously and impatiently, consisting almost entirely of rushed conversations in enclosed spaces, creating an atmosphere of nervous suspense. The combination of Boyle’s theatrical visual flourishes and energetic camera work, with Sorkin’s sharp, nonstop, walk-and-talk dialogue is fascinating to watch. Boyle blends the dynamism of the script and the actors’ performances with his mastery for technical flairs, resulting in an electric piece of cinema that is exciting to watch. Michael Fassbender delivers one of his most visceral and intriguing performances of his career. Fassbender approaches Jobs with a familiarity, delivering Sorkin’s sarcastic script with ease, portraying Jobs as a man with unlimited power and a complete indifference to social perception. His on-screen charisma and temperament goes a long way in informing the audience how we should feel about this complex character. Fassbender benefits from an excellent cast of supporting players, each making their individual mark. Kate Winslet stars as Jobs’ near-constant companion and “work wife”, the marketing executive whose ambition is tethered to his. The actress is nearly unrecognizable in the first half, disguised beneath a short-cropped head of black hair and lilting Eastern European accent, perfectly conveying the sympathetic, determined woman, whose conscience is complicit in witnessing vile behaviour. Jeff Daniel’s puts in a strong performance as one time Apple CEO John Sculley, a surrogate father to Jobs who serves as Jobs’ link to the corporate world. Seth Rogen is equally good as Steve Wozniak, Jobs’ co-founder of Apple and Job’s beloved, rivalrous sibling. Makenzie Moss, Ripley Sobo, and Perla Haney-Jardine also shine as Jobs’ daughter Lisa. 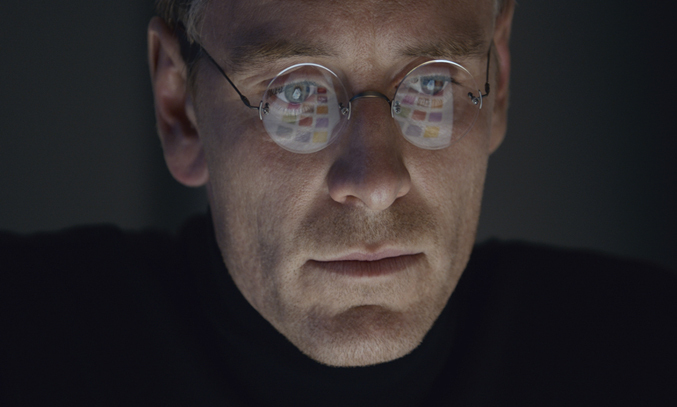 Whilst there is plenty to love about STEVE JOBS, the film isn’t without its flaws. The biggest pitfall is that Boyle and Sorkin do very little to have Jobs redeem himself, portraying him as a merciless perfectionist who is chilly at best and cruel at worst. The way in which he delivers soul-crushing blows to a girl of only five years is one example of this. As a result, it is difficult to root for a man who we fundamentally dislike. I also would have liked to have seen more of the creative spark, shown briefly through flashbacks, as a young Jobs and Wozniak work in the in the Apple garage. That said, STEVE JOBS is an entertaining, razor-sharp piece of human drama and a compelling perspective on the shortcomings of a man who achieved greatness. 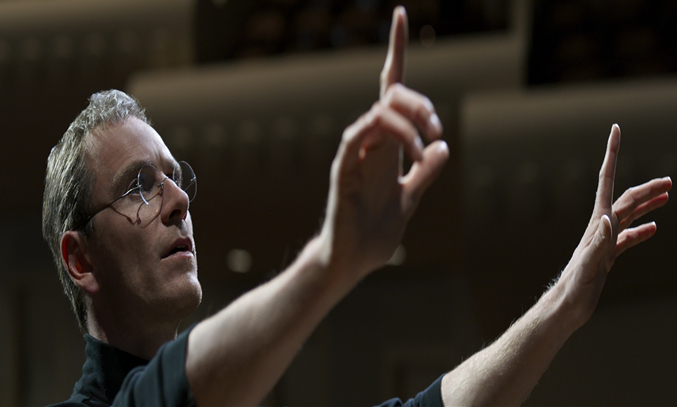 STEVE JOBS is released in the UK on 13 November 2015.